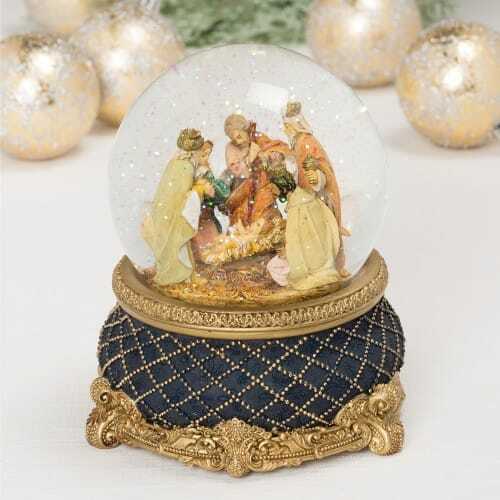 The Fontanini Nativity collection is known for its detailed, thoughtful figures and pieces. This glitterdome features a breathtaking gold-detailed base, perfect for the three kings who have come to worship the King of Kings. Shake it up, crank to hear "We Three Kings" and then set it on a mantle, shelf, or table to enjoy.